It didn’t take long for London’s new mayor to make a splash on the world stage: He knocked a fast but effective hole in Donald Trump’s proposed temporary ban on foreign Muslims entering the United States. In many ways, of course, it wasn’t a particularly meaningful victory. Trump may never reach the White House. Even if he does, how he might implement his ban is still far from clear. Trump himself now says Sadiq Khan, the first Muslim to become mayor of a major Western city, would be an “exception” to his proposed policy. But it is not clear what that means, either. Khan, for his part, says he would not visit the United States, on principle, if the broader ban were in effect. Such details, however, are large beside the point. In forcing a public spat with the presumptive Republican presidential nominee, Khan demonstrated that having someone like him in high office can subtly tilt the political chessboard. An embargo on people of a certain religion entering a country would likely never stand. But it looks even less tenable when it would seemingly include the elected leader of Britain’s capital city. Between them, Khan and London’s voters have shown that a moderate Muslim, working within the established political order, can attain power, influence and popularity. As well as achieving a global effect, however modest, half a world away. That shouldn’t be so surprising or shocking. In the current political environment, however, both in Europe, against the backdrop of the migrant crisis, and in the United States, with its continuing preoccupation with terrorism and the rise of Trump, it is important. When it comes to the ideological battle with fundamentalists such as Daesh, Khan’s victory may be worth more than the hundreds of thousands of dollars spent on “countering violent extremism” programmes. 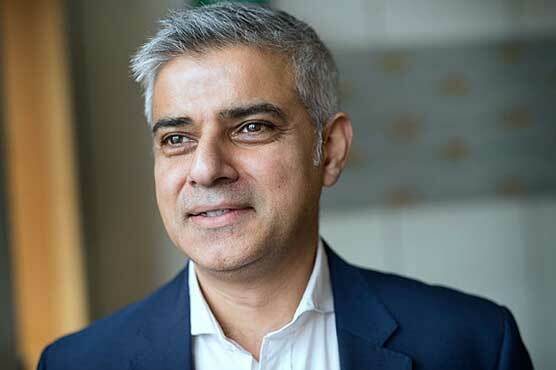 Khan wasn’t elected mayor because he is Muslim. Yet his new status as perhaps the West’s most powerful, directly elected Muslim official does give him a bigger pulpit and role. Within London, that’s probably not particularly useful — to him or anyone else. On the wider global stage, though, it might make more of a difference. In taking on Trump, the former human-rights lawyer has made clear he has no intention of dodging such battles. By targeting Trump rather than radicals, Khan likely infuriates those who complain that ordinary Muslims must do more to combat militant ideology. In doing so, however, Khan’s actions are still an existential challenge to groups like Daesh and al Qaeda. Their major reason for existence, after all, is largely based on being reductive and divisive — arguing that the only way Muslims can protect their interests and exert influence is through violent militancy. This might be an even more crucial message in mainland Europe, amid a growing backlash over rising migration and the militant attacks in Paris and Brussels. That a Muslim can rise to such high office in one of the West’s preeminent cities has a powerful resonance. That’s true despite — and in part because of — the sometimes toxic nature of the London mayoral race. Conservative challenger Zac Goldsmith’s campaign was criticised by many for what were viewed as unethical tactics. Khan was accused of being too close to radical figures while leaflets sent to non-Muslim Asian communities often appeared divisive. Some insist such tactics may have cost the Conservatives votes. But that is hard to prove. What seems just as likely is that the people of London voted based on far different issues. Class and wealth may have been more critical than ethnicity or religion. Khan is the son of a migrant Pakistani bus driver. Goldsmith is the Eton-educated son of a billionaire financier. In an era of austerity and anti-elite backlash, it’s perhaps unsurprising that the latter struggled. At the end of the day, however, the election was about who should govern London. Outgoing Conservative Mayor Boris Johnson was highly divisive. The Labour Party put greater focus on fixing London’s housing crisis, transportation and other infrastructure problems. Khan is a far from the perfect candidate. Even some members of the Muslim community say he made a mistake in sometimes appearing on panels with relatively hard-line speakers during the 1990s and early 2000s. The truth, though, seems to be that most Londoners were not bothered by it. As a supporter of gay rights and other social issues, Khan seems far from a Daesh-style radical. That, for most voters, seems to have been enough for them to move on to other matters. This is the real challenge for London’s new mayor. For the rest of the world, Khan’s ethnicity and religion will continue to be viewed the most interesting things about him — and will allow him to achieve important and useful things. Whether Londoners decide to re-elect him, however, depends far more on how he actually runs their city.